Joan E. (Wolf) Schumacher Meyer, 86, of Central Road, Benton (Sugarloaf Township), died Monday morning, December 3, 2018 at her home. Born February 24, 1932 in Jersey City, New Jersey, she was a daughter of the late Henry and Eleanor (Bell) Wolf. Mrs. Meyer worked as a waitress and then was a cook for the family business, The Jamison City Hotel, for many years. Surviving are her children: Charles Schumacher and his wife, Cindy, Laporte; Joan Vashey and her husband, Ronald, of New Jersey; Kevin Schumacher and his wife, Debbie, Benton; Michael Schumacher, Benton; Jody Boyle and her husband, Andrew, of Jamison City and Catherine Lewis and her husband, John, of New Jersey. Also surviving are 22 grandchildren, 36 great grandchildren and a brother, Henry Wolf, of Virginia. 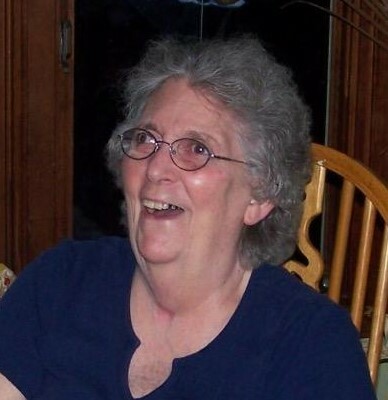 Along with her parents and two husbands, John Schumacher and William Meyer, she was preceded in death by three sons: Henry A. Schumacher on May 14, 2018; Albert F. Schumacher on January 28, 2016 and John H. Schumacher on August 30, 2011.